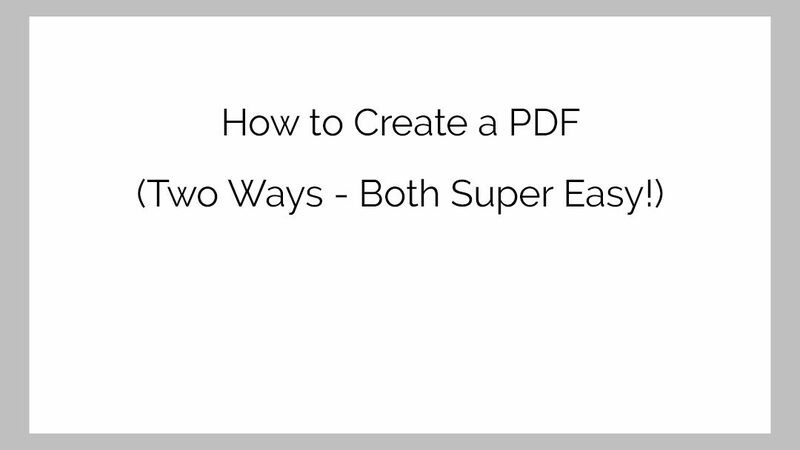 I was recently asked by the lovely Tanya Moon of @StoryPhotog_TanyaLorraine about the easiest way to create a PDF file. She’s planning to create printable freebies on her website. This is a fabulous way to grow her email list! In this article, I’m going to give you two ways to create a PDF file, including a video of how I do it in Photoshop. Let’s bang that out first. I love using Photoshop because I can totally design and customize whatever I’m creating. I love using different fonts and being able to move text and images around freely. I’ll select 8.5 x 11 inches with a white background, and if using color, be sure that RGB is selected for your color mode. You can also switch from landscape to portrait orientation, depending on how you want the printable to look. I’ll create a new transparent layer, hit T for Text and then select my font. With my text, I usually create new layers for each of my lines of text, rather than rely on the default spacing. I have much more control that way. (I show this in the video.) You can easily change the size of your font, and I’ll often increase the font size for words I’m emphasizing. You can also change the spacing between letters and rows of text, using your Character/Paragraph tool. If you don’t see it, go up to Window, and make sure there’s a checkmark beside “Character.” For me, it’s a button with a capital A and a pipe, looking like this: A|. Play around there to get used to manipulating the text, there’s so much you can do. Once I’ve created my printable, I’ll want to check to ensure that the person printing it won’t have the edges cut off. I go to File – Print, and there’ll be lines showing me where the edges will cut off for print. If any of my design is cut off, I’ll have to move some things around to fix that. You’ll want to ensure that you also click on Compression and select Medium. If you save the PDF at the highest quality, it may be too large a file size to upload to your website, and people don’t want to be downloading huge files that easily could have been compressed without any loss of quality. If you document is all text, Medium is totally fine. If you’ve added images, I’d start with medium, and then open it up to see if the quality is good enough. Then bump it up if it’s not. But I’m happy with the Medium output. And that’s it! Super simple! My video tutorial is below, but below THAT, I’ll describe another way to create a PDF file, which might be particularly helpful if you don’t use Photoshop. I’ll do it using Adobe Acrobat Reader DC, which is a free app available online. Ok, so if you don’t have Photoshop, you can essentially convert any file you already have into a PDF using the free app Adobe Acrobat Reader DC. You can download it here. Once you have the app, click on Tools, and then Create a PDF. You’ll select any file format from your computer and voila! PDF! This would work great if you already have an existing google doc or word doc that you simply want to be able to email or have in a PDF format. You’ll miss the design features of Photoshop, but this is a great option too. If you have any questions, hit me up on the DM’s over on Instagram!